On the 19 October 1943, the states of Kedah, Kelantan, Perlis and Terengganu in the northen Malay peninsular were ceded by Japan to Thailand. 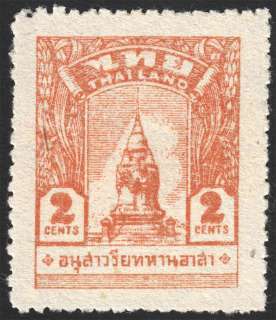 The stamps of Thailand were introduced in these states as a general issue for general use. These states were reverted to British rule in September 1945. The stamp depicts the War Memorial (อนุสาวรีย์ทหารอาสา) in Bangkok. Can be found gummed and ungummed. 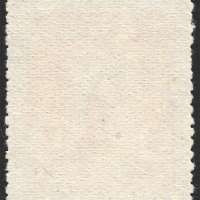 Printing date cannot be confirmed, as a source gave December 1943 (Scott) while the other gave 15 January 1944 (ISC). อนุสาวรีย์ทหารอาสา is pronounced as A-noo-sa-wa-ree-ta-harn-ar-sar. I am indebted to Gaz Seksuwan for helping me to transcribe the original Thai characters.